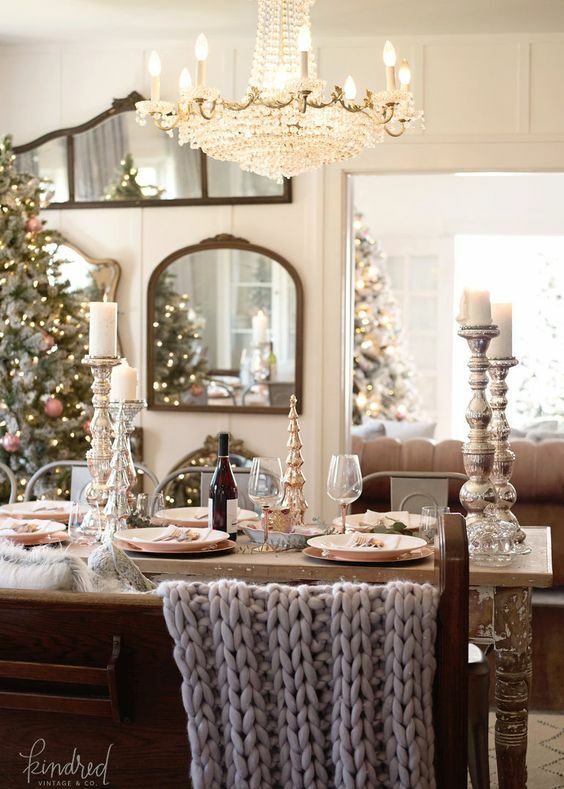 There are SO many amazing holiday homes out there right now! If you love interiors, this time of year has become chalk full of inspiration and gorgeous house tours. I love every second. 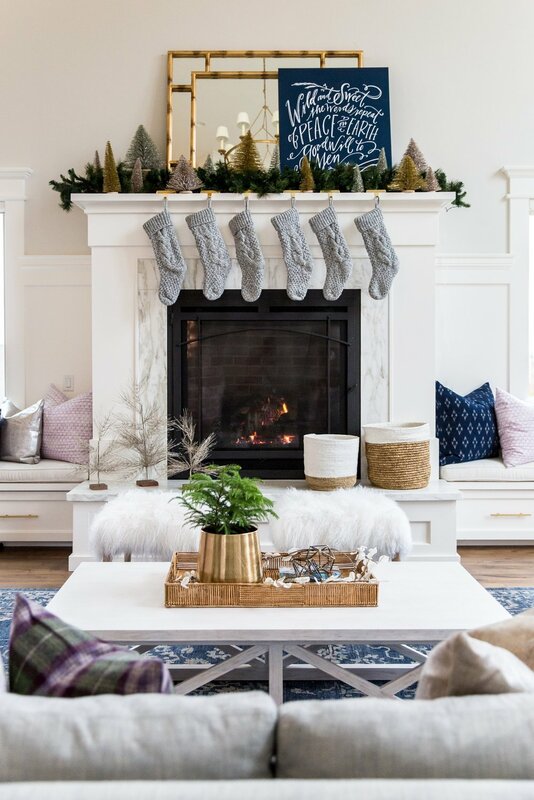 Today I thought I'd share a few favorite house tours with you, as well as a round up of some of the best holiday blog hops (links at the bottom of the post). Ready? 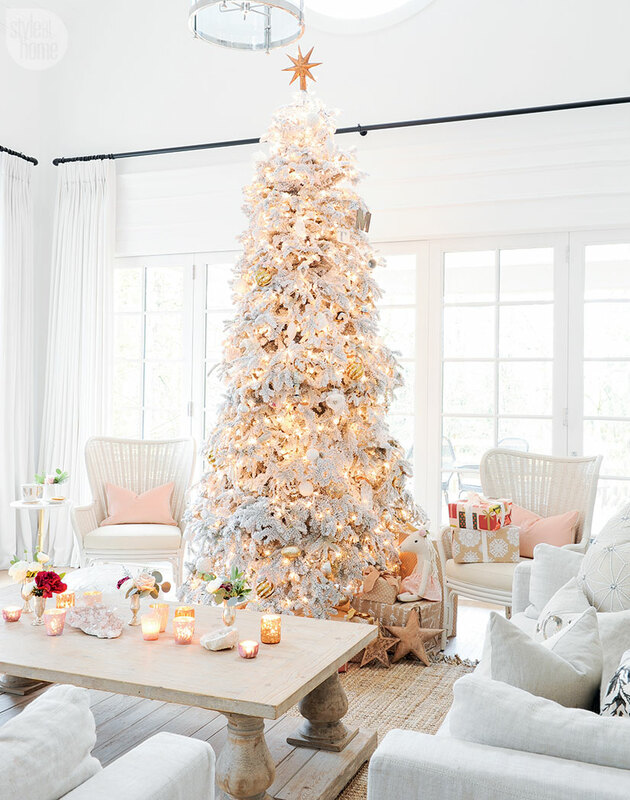 Let's start with Monika Hibbs' holiday home as featured in Style at Home magazine. 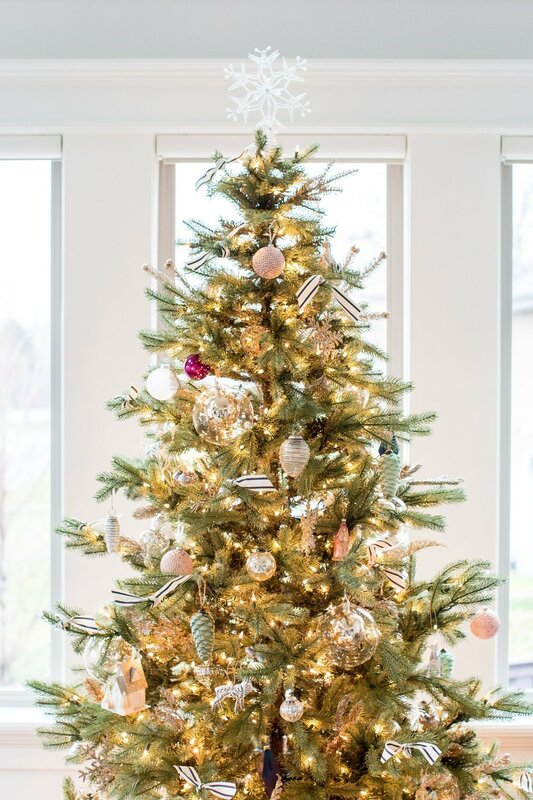 Everything this woman touches turns to gold, and her Christmas look is no exception. It is probably my very favorite holiday home out there right now. 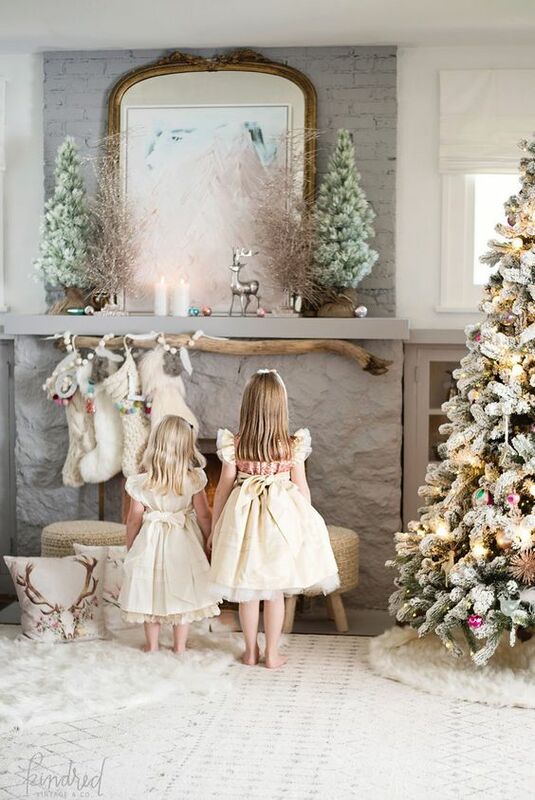 Lots of white mixed with gold and blush - all done perfectly! You can take the entire tour here. 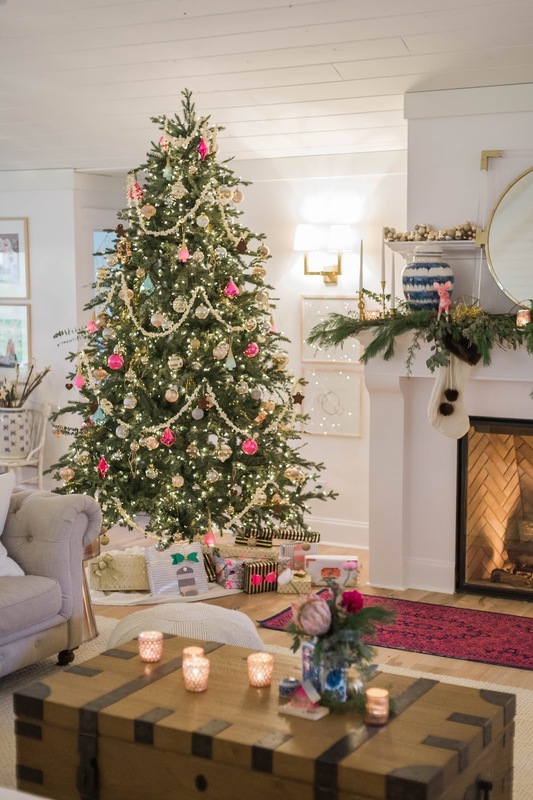 You can also take a tour of Style Me Pretty founder Abby Larson's home all decked out for the holidays. She does understated neutrals so well, and the decor is so on-point! Take the entire tour here. It's no secret Studio McGee is my very favorite design firm and I love everything Shea and the crew do. 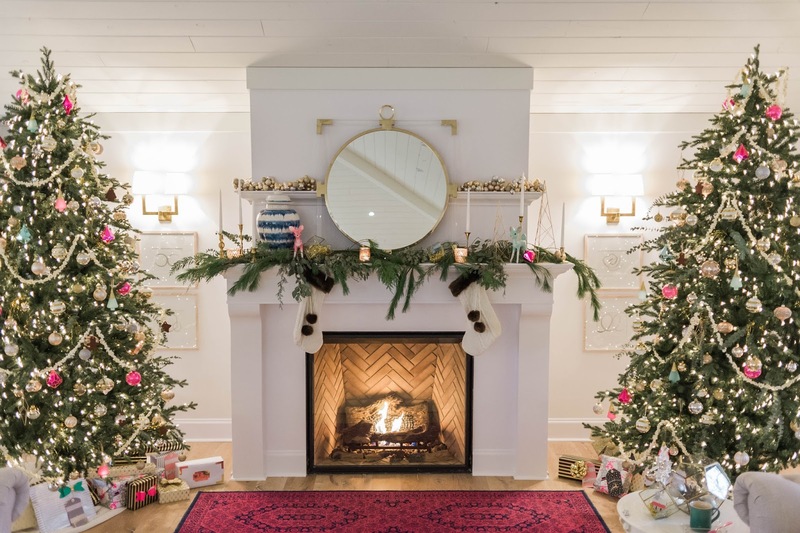 They've returned to one of their recent renovations to show it styled for the holidays and it's nothing short of perfection! Take the entire tour here. 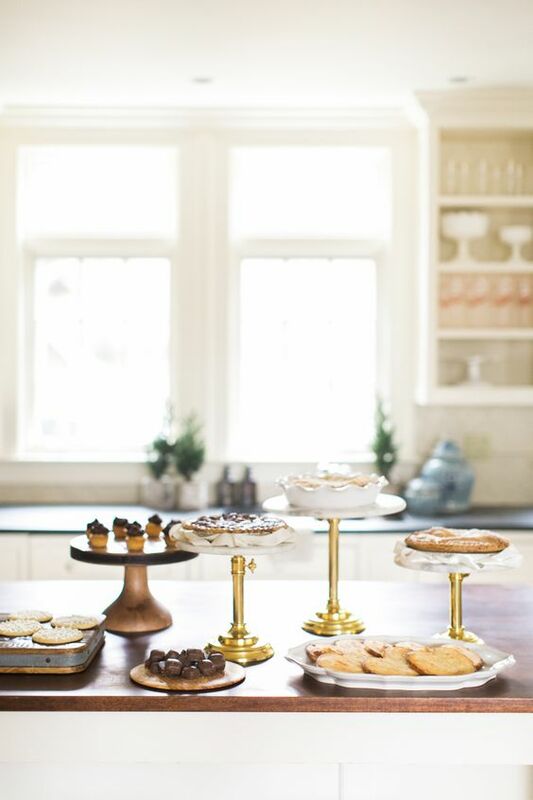 I literally gasped when I saw the photos from Kindred Vintage's holiday housewalk. Her home is absolutely magical this time of year. Take the entire tour here. Have you seen the Leslie Style's stunning new house yet? It is simply amazing! 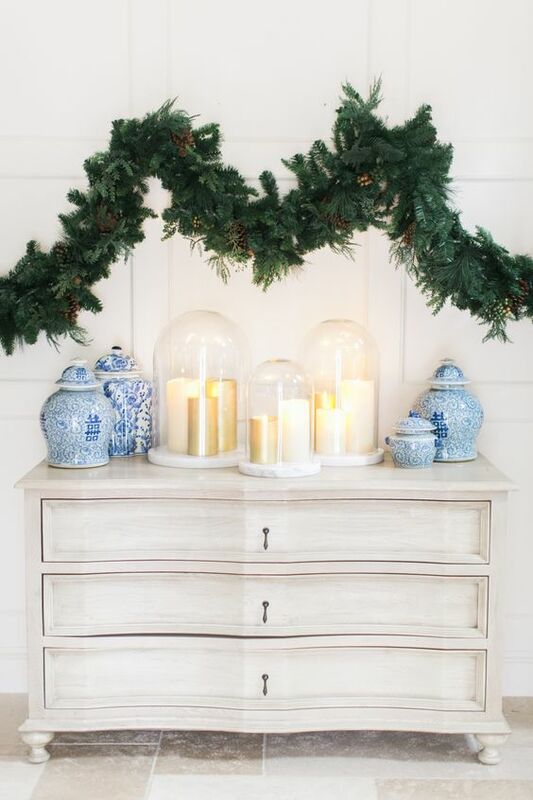 And the way she has it decorated for Christmas, pops of color on top of her gorgeous neutral pallette...yes, please! Take the entire tour here. 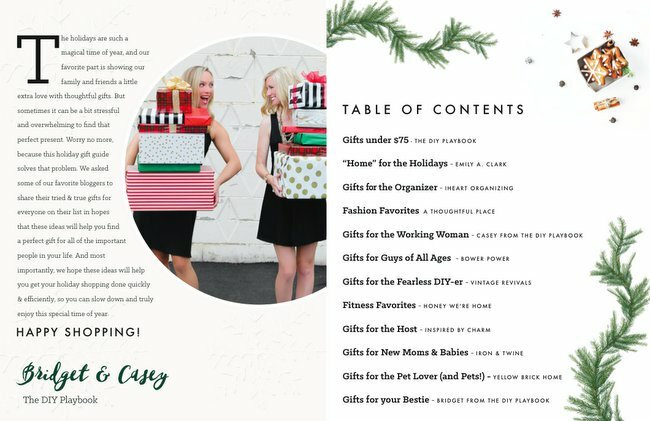 I also absolutely love this easy-to-shop Gift Guide from DIY Playbook. They've covered everything and I love the magazine-style layout you can easily click through to shop. 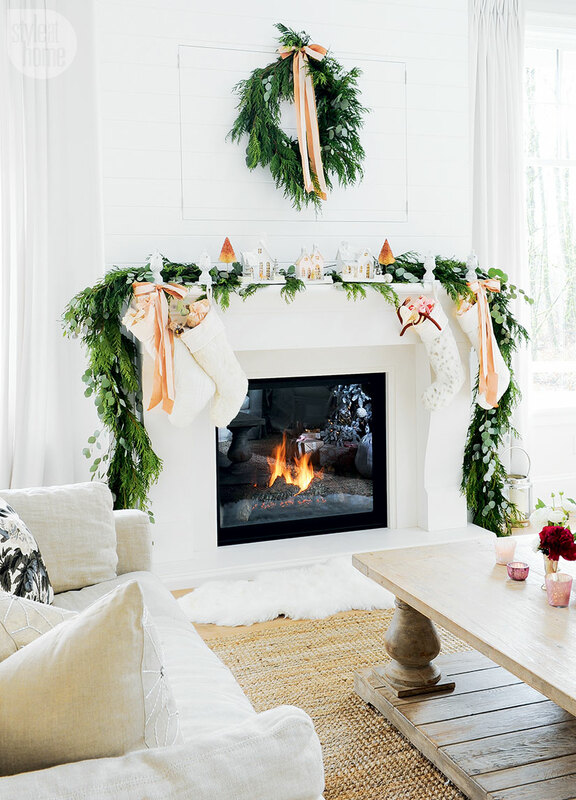 Below are some of my favorite Christmas blog hops. I've linked the starting point for each, then you can tour all the houses from there. So fun, right? !